The white grape variety is a new breed between Riesling x Précoce de Malingre, However, this parenting has only been published in 2012 according to DNA analysis pointed out, because the breeders indicated fathers Muscat Précoce de Saumur has not been confirmed. Synonyms include French grape, Gelbriesling, Goldmuskat, Riesling Doré, Risling Khativ and Risling Zolotistyi. The crossing took place in 1893 in Colmar-Alsace by the breeder Christian Oberlin (1831-1915) at its Rebsuchtbetrieb. The variety was crossing partner in the new breeds Etoile I. Etoile II. Léon Millot. Lucie Kuhlmann. Maréchal Foch. Maréchal Joffre and Pinard, The early ripening vine is prone to fake mildew and Botrytis, It yields rather alcohol-rich white wines with aromas grass and lemon, as well as tender nutmeg, In France she has almost disappeared and occupies the Alsace only just under a hectare of vineyards. In Germany In 2010 she became exclusively in the growing area Saxony cultivated on 21 hectares. 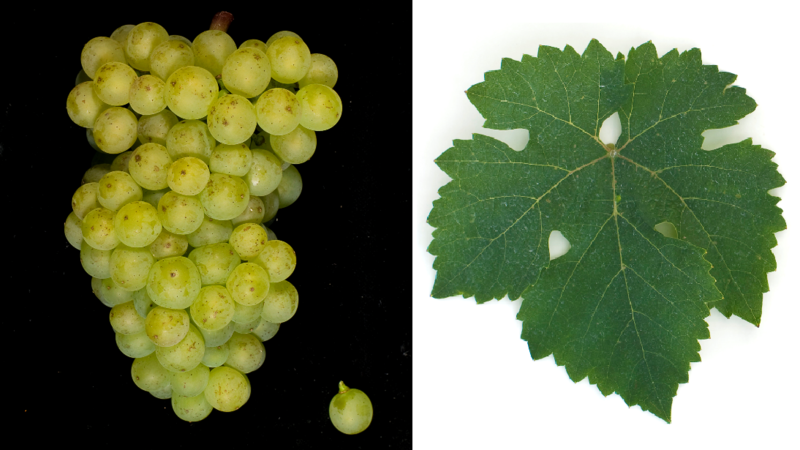 The white grape variety is a new breed between Riesling x Müller-Thurgau, The crossing took place in Austria by Ing. David Schantl around the year 1960. It was released in 1989 on the occasion of the celebrations "100 years of Landes-Obst- und Weinbau-Verein für Steiermark". The taste of the wine is reminiscent of Welschriesling. In 2009 was in Austria but no inventory reported. This page was last modified at 19 December 2018 at 08:19.